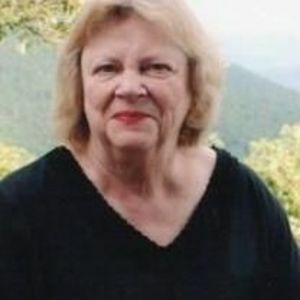 Julia Fowler Moore, 77, died December 24, 2017. She was born in Knoxville, TN on April 24, 1940 to William and Kate Fowler. Julia grew up in Morganton, NC where she won piano awards in high school. She double majored in English and History, graduating from UNCG. She taught in Gibsonville and Raleigh. On August 12, 1961, she married Henry Walton Moore Jr. They owned Moore's Auto Parts in Raleigh which they eventually sold to General Parts (Carquest). Julia was the financial secretary at St. Marks United Methodist Church in Raleigh where she was a member for 43 years. While at St. Marks, she was named Lay Leader of the year because of all she did at the church. She was also the funeral coordinator at the church for 20 years. Julia later joined Trinity Baptist Church and was a member for 5 years. Julia is preceded in death by her parents. She is survived by her husband of 56 years, Henry Walton Moore, Jr; daughter, Laura Moore Barnes and husband Mike; daughter, Elizabeth Moore Compo and husband Charles; granddaughters, Julia Kate Wood and Charlotte Elizabeth Compo. A memorial service will be held 2pm Friday, January 12, 2018 at Brown-Wynne Funeral Home, 1701 E. Millbrook Road, Raleigh, 27609. The family will receive friends immediately after the service. In lieu of flowers, the family requests memorial contributions be sent to Trinity Baptist Church Building Fund, 4815 Six Forks Road, Raleigh, 27609.